-A bunch of listener emails! 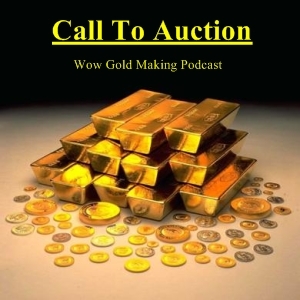 If you have comments or questions, email us at calltoauction@gmail.com, or leave a comment here! You can also record a comment or question, and email us the MP3! lol. Great show. Informational and funny at the same time, can beat it. While listening to ya i am making money and laughing. Many gratz from Brazil. Great show keep going. Hey ive been listening to this podcast since it started and just wanted to say how much i like it. It has a great balance of comedy and Information. I was a little aprehensive to listen to it because i thought it would just all be like your average gold blog/guide in podcast format. But its actually really funny to listen too and helpful. hope this podcast's stays alive ! Great show. Please get Marco a real microphone. The other two of you sound great. Incidentally there's and addon for that Hulan, you can replace any sound effect in the game for another sound file. I'm pleased to announce that we have gotten Markco a new mic! It will debut on the next podcast that we record. definately the worst show yet. apparently the lack of euripides allowed you two to show how shallow wow milionaires can be. selling single ammo stacks to "idiots", how to scam "not that we ever do this" and a general feeling of disdain for people that play the game to play the game or foe social reasons with their friends. plus as a bonus we learn thatfaeglis hates producing the hunting party. Carnage don't take everything so seriously! We take everyone's viewpoints into consideration though so rest assured we'll make some changes. Great show guys, keep it up! As to people offering 'differing' viewpoints on the ammo thing. Look, if people can't read that is their problem. Not saying it isn't a little shady, but at the end of the day no one forced them to hit "buy". :) Keep up the great work guys, awesome infomation and I think the banter is funny as well. Good job on getting a new mic Markco, you did sound slightly off. Slightly off-ful hoho see what i did there? Im sorry where the hell did you get the idea that I hate producing the Hunting Party?? the comment on 20 resilience is totally spot on...a great cut right now...along with 20 agility. the show should be on the server in the next couple of hours.